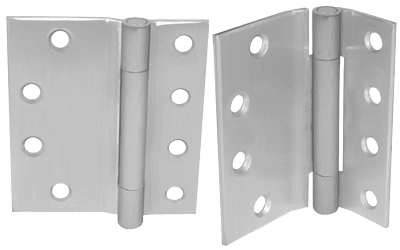 PBB, Inc. is a World Class architectural hinge manufacturer with many years experience in the commercial hardware market. Maintaining high quality with continual product improvement, PBB takes pride in meeting or exceeding any standards in the field. We insure that we meet or exceed all ANSI and BHMA standards with consistant testing and product evaluation by Warnock Hersey, ITS and Underwriters Laboratories. PBB takes pride in meeting or exceeding any standards in the field!